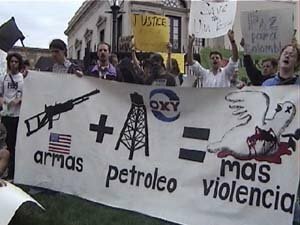 OMJP formed in September, 2001, following the catastrophic events of September 11, in which terrorists hijacked four fuel-laden planes and crashed them into the World Trade Center, Pentagon, and a Pennsylvania farm field, killing thousands of innocent people. Here in Olympia, Washington, we were shocked and devastated, as were people around the world. But our grief and horror were compounded by our anticipation that the United States government would retaliate by bombing some of the poorest and most oppressed on Earth, the Afghan people. Believing, as proposed by humanitarian, human rights, peace, religious, and international law groups world wide, that other means of achieving justice exist, but also suspecting that our own government would fail to exercise available nonmilitary options, we organized the Olympia Movement for Justice & Peace. A broad coalition of educators, students, activists, and community members coalesced to oppose war, as well as the existing and morally indefensible social, political, and economic structures and inequities that breed terrorist ideologies, and are destructive toward peoples and the environment. We are committed to building a mass movement to further justice and peace. We believe that the issues of justice and peace cannot be separated, and that by furthering economic and social justice we create the conditions for a peaceful world. Our long term goal is to build a society that meets the needs of all people, not one based on profit and economic values. 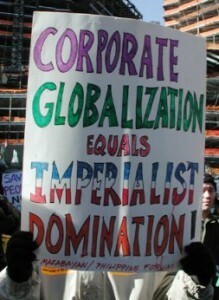 We oppose the current US war waged on Afghanistan and any plans for extending US military action into other countries. We believe that justice can be pursued within the existing international legal framework, for example, the World Court. 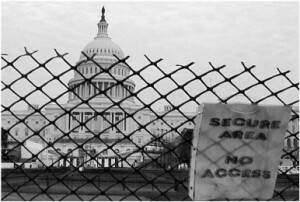 We oppose the so-called USA PATRIOT Act as a serious attack on civil liberties, particularly those of immigrants, as well as military tribunals and other unilateral administration attempts to rule by fiat. We oppose attempts by Congress and the administration to use the pretext of “terrorism” to fund militarism and to further benefit the wealthy with tax cuts and corporate welfare via our tax dollars. We actively support movements that challenge corporate-sponsored globalization, and those that further racial, gender and economic equality. Our efforts are focused on working in solidarilty and in coalition with individuals and groups on a local, regional, national, and global level. To achieve our goals, our principle tactics will be popular education, active protest, and direct action. We invite all who share our goals to join the Olympia Movement for Justice & Peace. We are committed to building a group that is democratically structured, where each person’s voice is valued and heard. We intend to share skills and knowledge among our membership and with the broader community. We are committed to building a group that continues past the current war, that is welcoming and truly inclusive of workers and students, old and young, women and men, all sexual orientations, and is racially and culturally diverse. To view the old OMJP.ORG website, please visit the web archive.